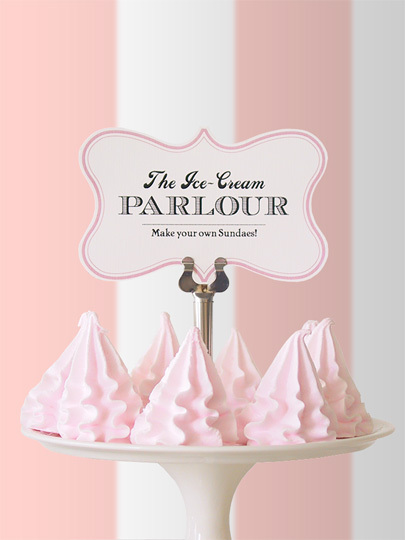 Don 't you just love the idea of making your own icecream sundea with all the toppings? I sure do! 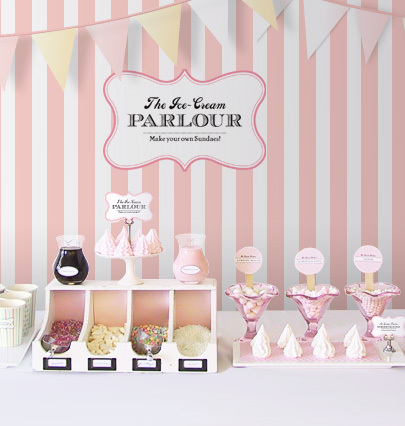 Check out this awesome Icecream Parlour Buffet from Eat Drink Chic. And head over to their blog for great ideas pics and templates! 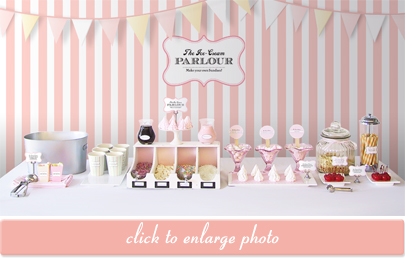 How cute would this be at a sweet baby shower?